I wonder why so much information regarding Warren Anderson seems to have been purged. For example there was a reference in this web site that said there was an interesting the author had recently come across (2009) when I clicked on it it indicates there is no information available. Is there a massive cover up regarding dow chemical and Warren Anderson? Thanks for pointing out the dead link – I have no idea how that happened! In any case I tracked down the original link and corrected my post. You can see the referenced article here. But I do have to agree with you – information about Anderson is very hard to come by, as I figured while writing this. It is good you have documented and set this information on the net about the Bhopal tragedy. Reading this before catching Warren, we Indians should catch our own govt as to why it could not pursue litigation against the company? Maybe Warren had visited to help out but was arrested and hence fled back (anybody would do that), the US govt and its people should ask for his views on this. And he should offer his wealth to the survivors of Bhopal to reestablish their lives! Thanks for stopping by. The fact is that there are a large number of factors at play here – the Indian government not doing its part, the US government and Dow washing their hands off by claiming that they have nothing else to do and so on. Somehow the environmentalists and the Bhopal activists are the only people who seem to care. The thing is, whenever Anderson was asked for his opinions he ducked. See http://www.progressive.org/mag_nielsen0506.html (referenced in the article). And people from Greenpeace etc. have really tried, without effect. I agree with you regarding offering his wealth, however I believe that it will be fairly inadequate penance – the man got away with mass manslaughter, after all. By the way, check this out – even Dow doesn’t believe that things are hunky dory in Bhopal: http://theyesmen.org/blog/dow-runs-scared-from-water. Its Painfull to see how the System which governs a Country and its People is so negligent and irresponsible for issues like these. Its rather funny how the Indian government just let him go back to the US on bail after they arrested him as if in good faith without the slightest foresight of a flight risk. Were they really born yesterday to expect him to come back. Going from that, prisoners languishing in Indian jails should be permitted to roam free during the day unshackled, all in good faith that will return at dusk. The skeptic in me has always asked if those in power(politicians, judges, bereaucrats) were ever paid by Anderson for this leniency. If so, then the innocent Bhopal survivors are merely barking up the wrong tree, suckered by a government and a judiciary that they trust. Everyone seems to be in cahoots with everyone. 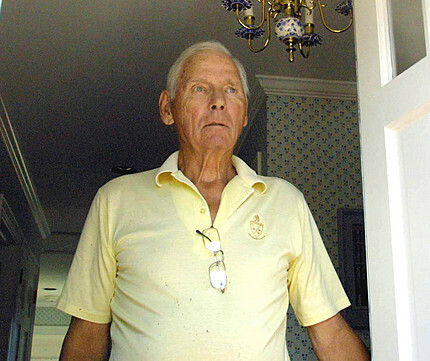 It will be an unfulfilled hope – Warren Anderson will never display a conscience. Neither will Dow or the incompetent Indian authorities. Thanks for that informative post. Did know much about Bhopal Gas Tragedy before that… Keep posting such articles… Also appreciate the time you have taken out to go through the referred materials.